In the eye of the beeholder! Bees have been enjoying a very shady character at our house. I’ve struggled to find pollinator-friendly plants for my South-facing window boxes amongst the usual garden centre offerings. 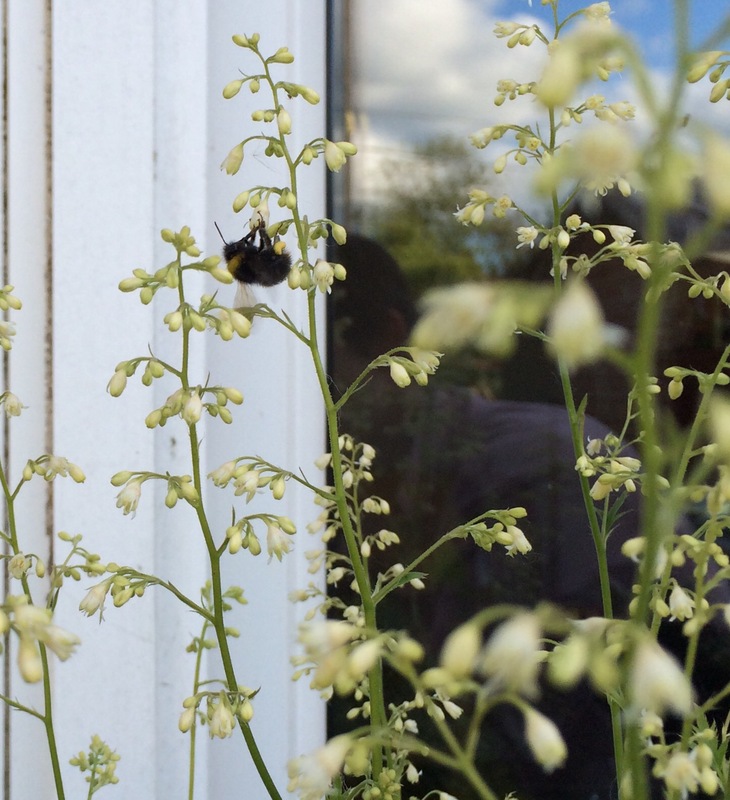 But, by-chance, the northerly one seems to contain a beaut for the bees. 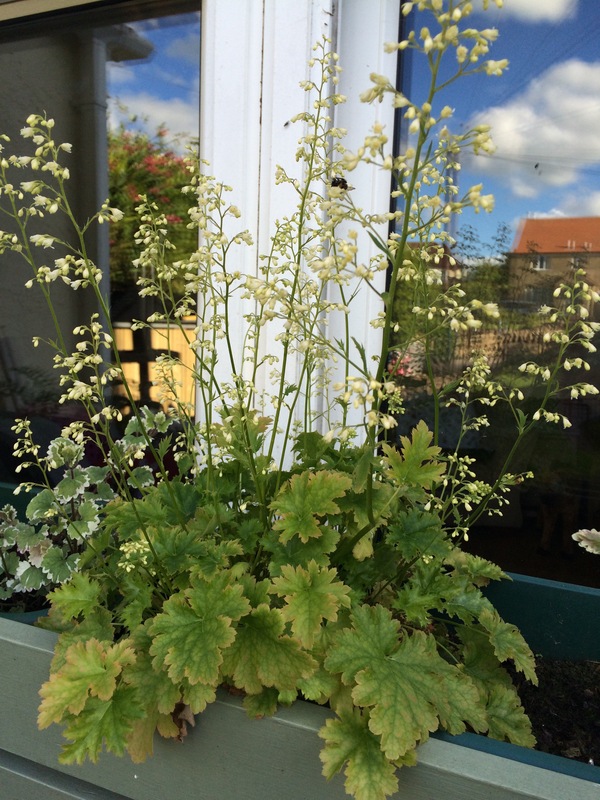 A shade-tolerant heuchera (‘Apple Crisp’) is doing nicely in the frankly dank window box outside our living room. Since early spring – and some new compost – it’s sent up its spindly spikes of teeny tiny white/green bell-shaped flowers. They really don’t look particularly impressive (though I take what I can get in the north-facing planters!) but buzzing things seem to enjoy them. I’m hoping for a bit of colour from trailing fuschias in these boxes this year, but I’m actually coming around to the idea of giving up the fight against the conditions and trying a foliage-based display. Next spring I will divide some of my smaller hostas (which, are so far still snail-free!!!) to add in, and I’ve just bought a few ferns to try. This one (common polypody) should reach 35cm if it does well, which would look fab alongside the heuchera. 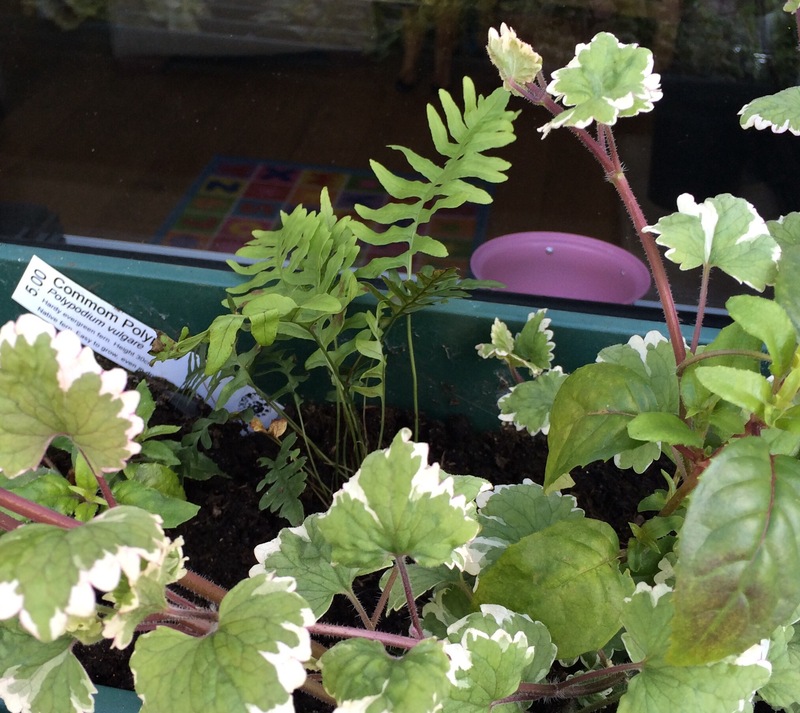 Any other tips for shade-loving plants that would suit a window box or three?? ?